Adding an image in table cell can make your PPT files more different. 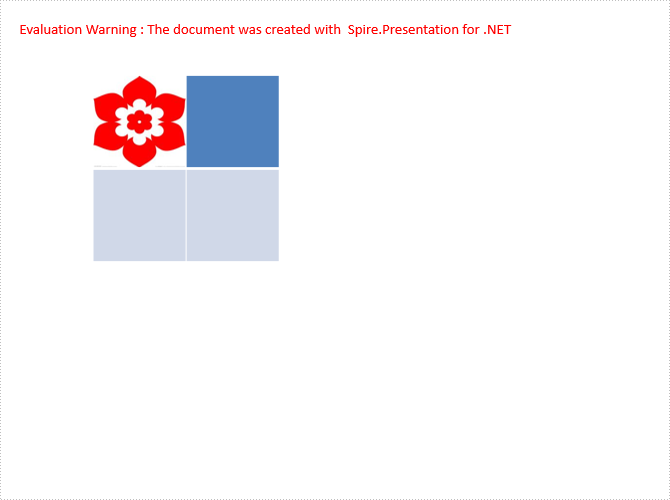 Spire.Presentation allows developers add images to table cells. Here we introduce an example to add an image to a table cell in PPT. Step 1: Create a new PPT document instance. Step 2: Call AppendTable() method to create a table and set the table style. Step 3: Use table[0, 0].FillFormat.PictureFill.Picture.EmbedImage to embed the image to the cell. The FillType can be changed. Step 4: Save and review.